Thanks so much Diana~I love it! I started with white card stock for the base of my card. 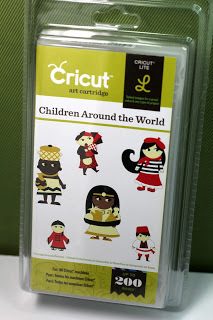 The sentiment is stamped onto the base layer with My Creative Time's~Chalkboard Birthday stamp set. I used My Creative Time's~Scalloped Stitched Oval Dies for the next layer and framing in the sentiment for creating the shaker part of the card. I filled the window with sequins from my stash and layered that top panel in place.
. 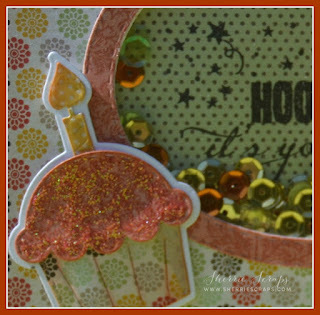 The cupcake is created using My Creative Time's ~Light the Candles stamp/die set. I used Ranger fruit punch stickles on the frosting and glossy accents on the candle. I finished it up with a pretty bow using ribbon from SU. Be sure to click HERE to check out the other DT projects......and link up a project of your own!!!! This is so festive! I love the colors and that bow! Thanks for being a part of PDE Linky Party. Super shaker, especially with that big beautiful bow. Another shaker is on my list to make this week and yes, my list keeps growing. So glad to be on the PDE team with you! It will be fun to create and share! Congrats, Sherrie!! I'm so excited for you my friend!! Your card is amazing!! I love the shaker and the adorable cupcake!! The sparkly frosting is yummy!! This is just fabulous!! Oh, and amazing bow, too!! Congrats on the new DT, looking forward to your creations! 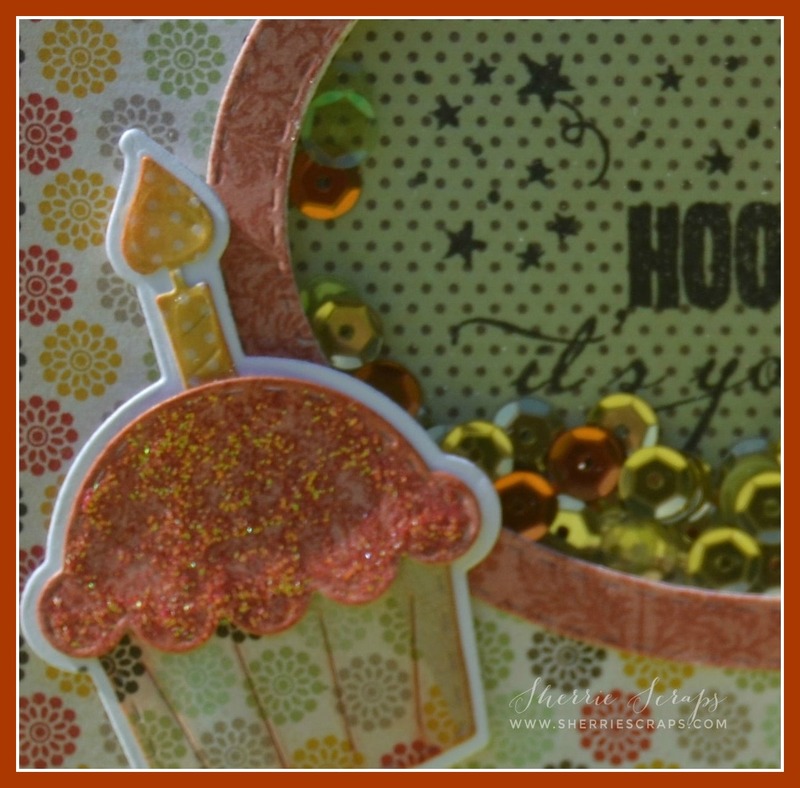 Love the shaker card you created, gorgeous colors and papers and I just love that cupcake. The shaker design is just fabulous! Congrats Sherrie!!!! Adorable card as always...you're going to rock that team!!! I am so happy for you Sherrie ! They are going to love having such a sweet , super talented lady on their team ! 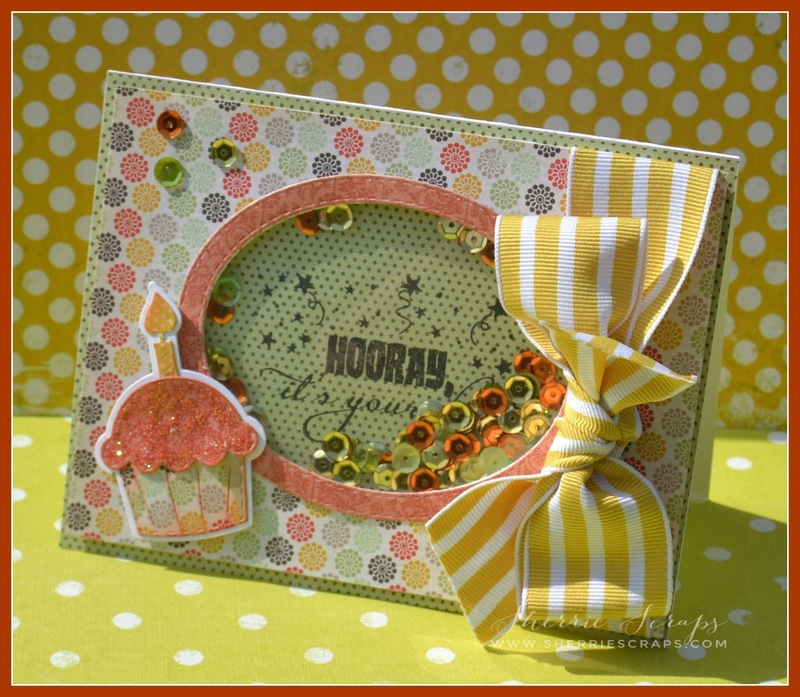 I adore this gorgeous birthday shaker card you have created ! You know I am a shaker card addict and this my friend is a wonderful creation ! The recipient is sure to be in love and amazed by this ! Hope hou have a wonderful weekend my friend ! WOW!! The card is just GORGEOUS!! A super cute & yummy cupcake! You know how much I ADORE that beautiful bow!!! A Fabulous shaker card! Congrats to you my friend!!! LOVE your shaker card,absolutely fabulous!!! LOVE this shaker card! Glad to be on the PDE DT with you too! Sooooooooo beautiful! LOVING the shaker and that cupcake!!!!!! 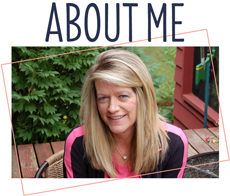 This is AWESOME Sherrie!!!!! What a sweet card!!! Congrats on your new DT! Looking forward to seeing all your AWESOME projects!! Super cute Sherrie! The cupcake looks scrumptious! Love the shaker full of sequins! This is beautiful Sherrie! I love the colors so much, so pretty and the sequins are just as pretty in color! I really like the pattern papers you chose, they blend well together and look great! That cupcake is so cute, love the sparkly frosting! And that bow is just perfect! I hope you are having a great weekend!! Big Congrats Sherrie, and I love your shaker!!! Congrats Sherrie!!!!! Your shaker card is awesome!! Love the bow and the pretty papers you used!! Have a great day. So pretty. Love the sparkly cupcake and your shaker element. Thanks so much for sharing with us at Seize the Birthday. Congrats my friend they are really blessed to have you. Your shaker card is amazing-- I need to go enter the challenge. Ps I am so glad you like the paper I absolutely love the thank you card you sent me and I am displaying it on my buffet in the dining room. Great colours and I love the shaker. Thanks for playing along with Seize the Birthday. Oh yay, congrats to you! Looking forward to all your AWESOME projects like this amazing one! It's gorgeous! The paper is so pretty and the cupcake is fabulous! Congrats Sherrie. You will love being on the team. Janis is a sweetheart. I was on her team for a long time before she shut down. What a beautiful shaker card. Love the papers. Super shaker card! Love that cupcake and your colors! 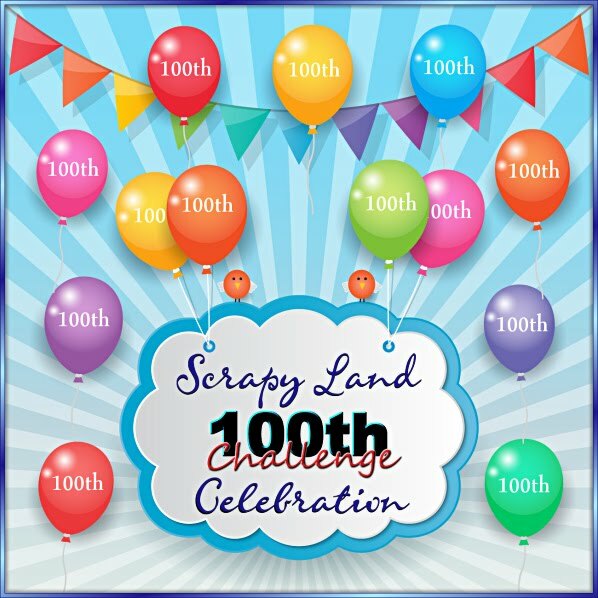 So glad you joined us at Seize the Birthday and hope you play along again soon! How cute! 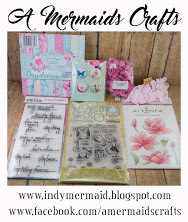 I love shaker cards and when you add cupcakes and glitter - well you just can't go wrong! This is just adorable! So pretty Sherri....the big bow looks fabulous and I love the shaker card! How exciting! Congrats on your DT spot! I always love linking up with PDE!! What a wonderful sparkly shaker card!! I look forward to seeing your projects!! 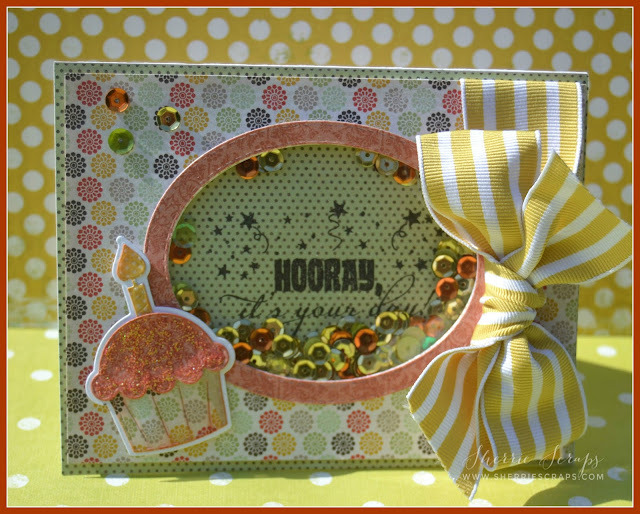 I love this shaker card and the colors you used too!